As I have been wrapping up Lost Ship, I began to worry about the legibility of the lettering in the comic. My lettering has improved over the last year, but some of it is a little rocky. So I decided to re-letter the comic with a font. It’s incredibly important to me that people can read the comic. While the lettering lost a bit of character in the move to being a font, I believe it’s a worthwhile change because it’s much easier to read. I’ve been working on Lost Ship for the last few months, and it’s nearly complete (woohoo!). 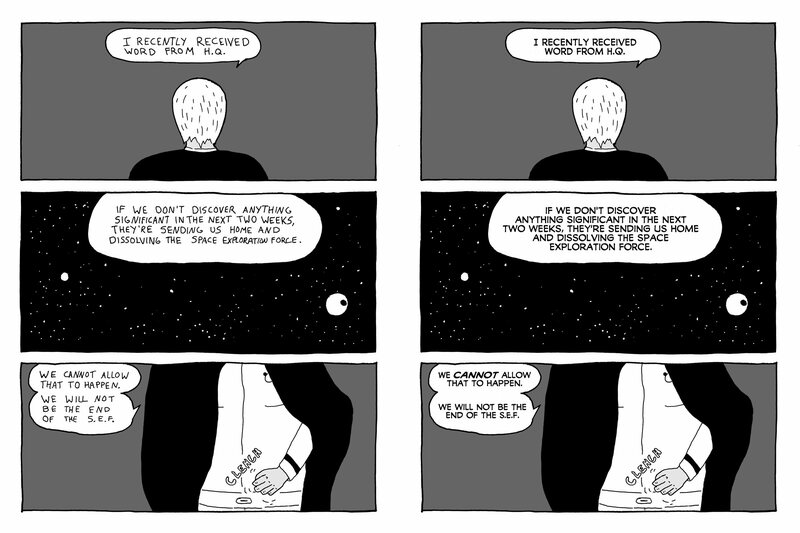 It’s a sci-fi comic about a small crew that explores the unknown parts of the universe. All that’s left to do is print the project and release it out into the world. Before that happens, I thought it’d be cool to share a bunch of concept art from the pre-production phases of the project. At the time I started the project, I was really into drawing different ship designs, which is what led to the initial idea for the comic. The final designs varied a little bit from those initial ships above. I’ve been working on a new 28-page comic called Lost Ship over the last two months, and it’s been enjoyable to work on a project that’s pretty small in scope. It’s about a small crew that explores space to try to discover new things. I made this little comic called NINA over the last few weeks as a way to get back into drawing page-sized comics traditionally and experiment with some new tools. It’s inspired by Blade Runner and Tsutomu Nihei’s Blame!. It was drawn on 9″ x 12″ bristol with technical pens. I added tone in Clip Studio Paint. I hope you enjoy it. I was picking up a book I had on hold at the library and a manga on display caught my eye. Dementia 21. What a strange name. The bright yellow letters really stood out. I decided to check it out and give it a shot. Wow, am I glad I did. It’s the best comic I’ve read this year.